The annual Leicestershie County Council Local Council Conference will take place on 9th July 2012 at County Hall (Glenfield), commencing at 16.30 (tbc) with refreshments and ending at 20.30 (tbc), with a buffet being provided during the event. The conference (and buffet!) is free to Leicestershire local councils and will cover a number of topics, including issues raised by local councils as being items you wished to see on the agenda. Through the Leicestershire and Rutland Local Council's (LRALC) close involvement in planning this year's event, and the inclusion of topics suggested by LRALC Members, we are confident that the event will be a useful and enjoyable event for all those who attend. The event is open to both Councillors and Clerks, and local councils may send as many delegates as they wish. At present it is planned to run 6 workshops, some of which may be repeated dependent upon demand. Please book for this event through the LRALC (lralc@btconnect.com 0116 235 3800), identifying your 1st and 2nd choice workshop from the above list. Please let us know of any special requirements you may have, including dietary. The leader of the County Council and the Chairman of LRALC will open the conference, and there will also be an opportunity to raise other specific issues directly with the County Council at the event. The Government has approved Leicestershire's strategy to improve broadband connectivity across the County. This will enable the County Council, with support from a range of organisations, to work with suppliers to identify a solution for Leicestershire. Negotiations will conclude in Dec/Jan 2013 with deployment commencing later that year. Our initial vision is to ensure at least 90% of residents are connected to super-fast broadband by 2015, extending to 100% by 2017. The deployment of super-fast broadband within rural Leicestershire is one of the Big 7 priorities contained in the new Leicestershire Rural Framework. Through our commissioning plan we will identify specific activity in remote rural areas to ensure improved speeds. The County Council received over 4600 responses to its broadband survey with 650 from businesses. The greatest number of responses were received from rural households and businesses in Harborough and Melton districts. Detailed analysis of the results is currently being undertaken and will be published later in June at www.leics.gov.uk/broadband. Thank you to all those who completed the survey! Results will help inform the prioritisation of the rollout. People from all over the county are being encouraged to get involved in this year's Leicester and Leicestershire Food Fortnight – which will take place between 22 September and7 October 2012. Supporting our food and drink businesses and encouraging consumers to shop locally and buy Leicestershire produce is an important part of the Food Fortnight, and this year the special theme is about championing LeicesterSHIRE food and drink as The Best of British. For more information and to get involved see the attached press release. Rural Insight Survey - help needed!!! 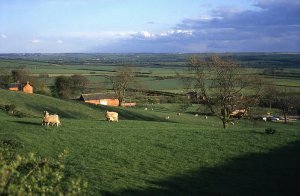 The Rural Services Network is undertaking its second survey into the views and experiences of rural people in England. Last year as part of the Rural Insight Survey it generated over 1300 responses. The results of the survey can be viewed at www.ruralinsight.org.uk. We do hope you will assist us with the development of this survey which will provide a really important data source. Responses will help us to both chart the key issues in rural England and consider how the views and experiences of rural people about living and working in the countryside have developed over the last 12 months. We encourage you to complete the survey as we can then get a more comprehensive breakdown of the results at a Leicestershire level. Boosting Broadband in Rural Leicestershire: Last few weeks to complete survey! The internet is transforming the way that we live, work and play. It is driving business innovation and growth, ensuring that people can access services, is opening up new opportunities for creative learning and will help transform how we deliver public services. Whilst some areas benefit from super-fast broadband a significant proportion, mainly within rural areas, are left in the slow-lane. The LRP is working with a range of public, private and voluntary organisations and communities to deliver super-fast broadband to all premises in Leicestershire by 2017, subject to securing necessary funding. Initially the target is to deliver to over 90% by 2015. To help us achieve this 2015 target the County Council has allocated £4m to match the Government's £3m. In addition to this investment it is critical that we raise demand for super-fast broadband. To date over 3300 questionnnaire responses from Leicestershire households and businesses have been received in support of plans to improve broadband connectivity. Thank you to all those who responded. There is still time for those who live or work in rural Leicestershire to respond. Please complete the online survey available at www.leics.gov.uk/broadband. The survey closes on the 30th April 2012. It is anticipated that deployment will commence in 2013. LRP Conference 2012 - Huge Success! The LRP held its biennial conference back on 1st March, the weather was fabulous and a most enjoyable and informative day was had by all 110 delegates. 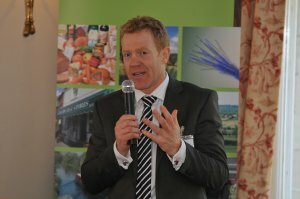 Adam Henson started the day with an inspiration talk which set the tone well for an interactive day of discussions and debate. We would like to thank all those who took part on the day for making it one of our most successful and memorable events ever. We had very positive feedback on the conference (see detailed evaluation report) and we look forward using your points and suggestions raised through feedback to help shape our work in the year to come. NEW village shop at Seagrave!! The White Horse Inn, at Seagrave, opened the doors of its new village shop and function room on Saturday 10th March 2012. Seagrave lost its village shop and Post Office in 2002, and since then local residents, including the elderly, have had to travel to get essential food produce. Gemma Rumbold has managed the pub since May 2008, when it underwent extensive renovations; the popularity of the pub took off under Gemma's management and urgently required additional floorspace, as well as the village requiring more community space. 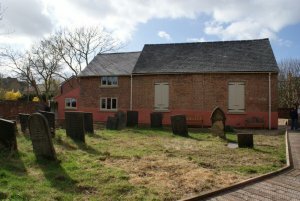 Gemma successfully applied for a Leicestershire Rural Partnership INSPIRE grant to bring an adjacent redundant building back into life, only 200m from the site of the original village shop. The building has now had a new makeover and accommodates a new shop selling fresh local produce and a function room (with stair lift) on the first floor. Greenfield Farm project also in the village provides training for people with learning disabilities, and has also received an INSPIRE grant. 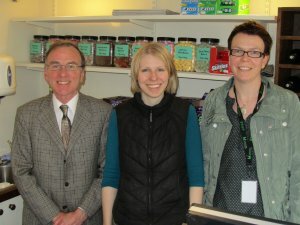 The project will supply volunteers to work in the shop whilst providing fresh local produce (which opens at Easter). For more information see www.whitehorseseagrave.co.uk. Cllr Lesley Pendleton, Chairman of the Leicestershire Rural Partnership said: "It is wonderful that we are able to meet local need by not only retaining but setting up new village shops where they are needed. Gemma's commitment shows that local facilities can be developed by determined local people". Complete a broadband questionnaire and help us to transform your internet experience in rural areas. The internet is transforming the way that we live, work and play. It is driving business innovation and growth, ensuring that people can access services, and is opening up new opportunities for creative learning. Not all business and communities, however, are able to take advantage of these opportunities. Whilst some urban areas are able access super-fast broadband and a range of digital services, other, more rural, areas struggle with the most basic of internet functions. 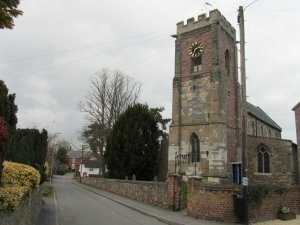 Broadband connectivity is emerging as a critical issue in Leicestershire. We believe it will help ensure the future sustainability of our rural communities and, as a result, have included it as one of our BIG 7 priorities within our Leicestershire Rural Framework. It is estimated that over 190,000 residents mainly in rural areas, will not receive improved broadband as part of BT's national rollout programme. This includes 89,000 residential households and at least 3,800 businesses. The LRP is supporting the County Council to ensure broadband is improved across the County. Through our Broadband Leicestershire programme we are working partnership with public, private and voluntary sector organisations to identify and deliver the connectivity needs of communities, businesses, and public sector organisations. Our vision is to deliver super-fast broadband to all premises in Leicestershire by 2017, subject to securing necessary funding. Initially we want to deliver to over 90% by 2015. To help achieve our 2015 target the County Council has allocated £4m to match the Government's £3m allocation. District council have also committed to support the programme and we are in discussing additional funding. A further £300,000 has been allocated to deploy better broadband in the most remote rural areas. Deployment of super-fast broadband will commence during 2013. As part of the programme it is critical we understand current issues and future broadband aspirations. We need your support. Please visit www.leics.gov.uk/broadband and complete our questionnaire and help us to help you transform your internet experience. Our survey will be open until the 30th April 2012. We will report on our findings in May. When you complete our survey please register to receive our quarterly newsletter. 'Foundations for the Future' - Thursday 1st March. Leicestershire Rural Partnership is holding its Rural Conference at Scalford Hall in the heart of Leicestershire's picturesque countryside. Developed by Cuttlefish. Powered by Leicestershire communityPortals.